Benefits Of Coffee For Hair. Half of the world cannot function without a cup of early morning coffee. The caffeine kick not only gives energy to face the whole day but uplifts the senses as well. But apart from this, coffee works great for skin and hair too. It stimulates the hair roots by improving the structure and boosts a healthy hair growth. It also helps get over the hair loss / hair fall and aids re-growth. Even though the texture and quality of hair depends on the well-being of follicles and cells, coffee for hair does a great job in stimulating the roots and hence improving hair growth and all over structure. Hair loss is a very common problem these days. Mostly men suffer from it because the male hormone dihydrotestosterone affects the hair follicles, shrinking them and ultimately causing baldness. Coffee powder for hair baldness treatment is extremely beneficial as it penetrates into the roots and stimulates them. 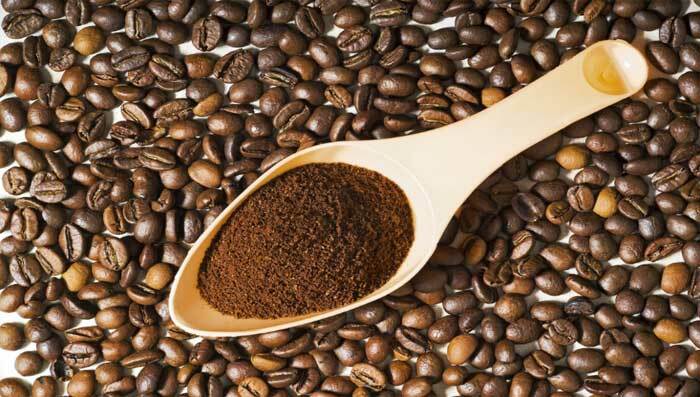 Caffeine works as a tonic for hair follicles and cells stimulating a healthy hair growth. According to many dermatologists, caffeine extends the hair life by about 33 percent and increases the growth by 46 percent. Apart from strengthening the hair follicles and cells, the benefits of coffee for hair include giving natural sheen and the hair, making them manageable. One can also detangle hair with the help of coffee brew. Coffee is known to strengthen the hair from within perking up eminence of hair on the whole. The caffeine in coffee is known to be absorbed by the hair follicles and it makes them supple and shinier. Coffee also has the ability to clean and exfoliate the scalp, making it free of bacteria and fungi that cause infections, itching and dandruff. Coffee for hair helps in scrubbing the dead cells in the scalp keeping it fresh and clean. It helps to maintain the pH levels and stimulating blood circulation on the scalp as well. Those suffering from premature grey hair can heave a sigh of relief as coffee also helps in giving a rich color. Coffee hair color gives a beautiful brownish-black tinge and is perfectly safe to use, without any side effects. One can also use the coffee hair dye which can further darken the color of hair in a bid to change one’s look.